The perfect solution to never forget your hearing protection when you enter a loud environment. Protect yourself from music or noise induced hearing loss & tinnitus with these universal earplugs. 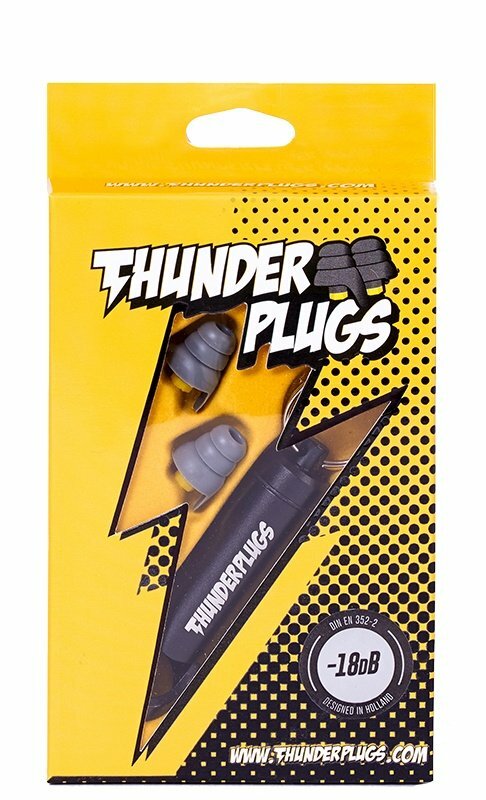 Thunderplugs are manufactured with special music filters that lower the sound with minus 18 decibels without changing the music. The plugs offer: a great user experience, happy ears after the event and no nasty beep as the ‘after party’ the next day!